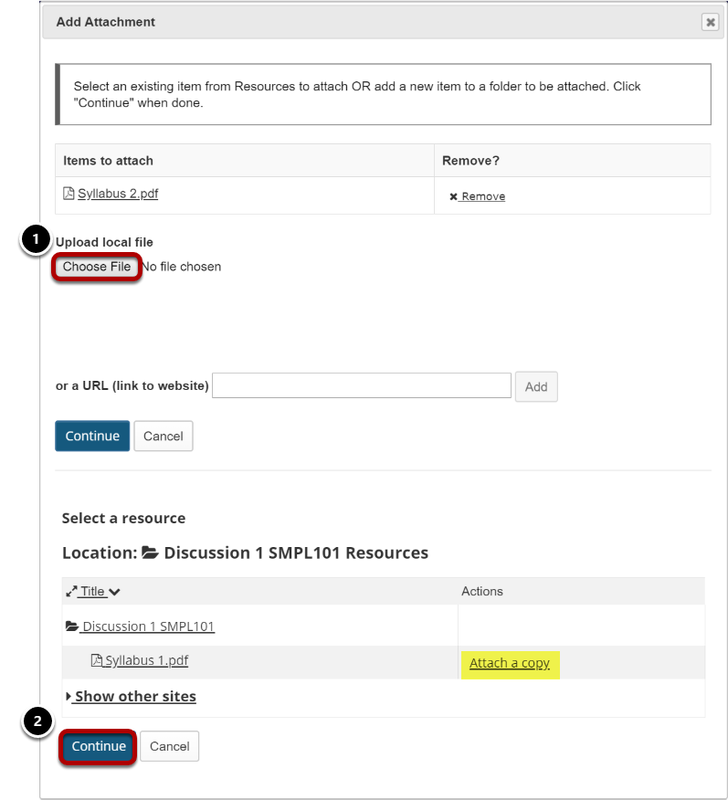 Sakai Community DocumentationSakai 19 User Guide (English) SyllabusHow do I add my syllabus as a file attachment? An "Add Item" window opens where you type the name of the item - "Syllabus Spring 2019" for example. 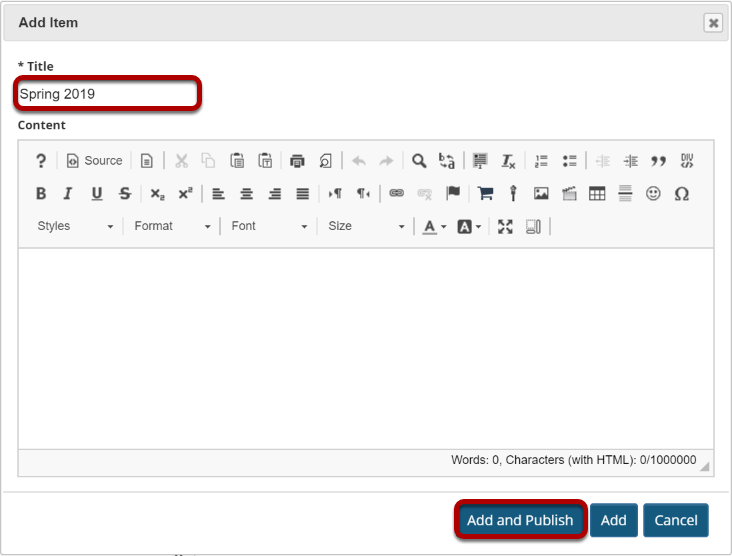 Type the Title of the item and click Add and Publish. Click the Add attachments link to browse for your file. For more information on syllabus items, see How do I edit syllabus items? Next: How do I create a syllabus using cut and paste from a document?